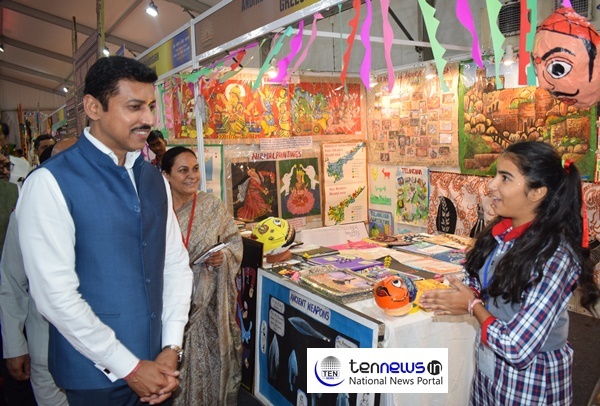 on Wednesday in Delhi gave a miss and in his absence, Information and Broadcast Minister Rajyavardhan Singh Rathore Graced the occasion as Chief Guest. The program, organized in Vigyan Bhawan, is open for the public for three days from October 31 to November 2. In , KVS Rashtriya Ekta Shivir-2018, 28 schools of (KVS) will present the cultural heritage of 25 states of India, which includes dance, music, songs and socio-economic progress. Through this platform, students will have the opportunity to demonstrate their creativity, originality, artistic skills. They will also get the opportunity to know the culture, traditions, art and architecture of different countries of the world along with other states of India. among the participants. He said, every student has a potential in some fteld and it has to be fully realised. He also appreciated, motivated, guided, encouraged and blessed the students for their excellent performance in today’s events. Amravati gears up for F1H2O India Grand Prix, Power Boat Race in Andhra Pradesh!